In this three-part series, Faculty member Dr. Deborah MacNamara paints a picture of the sensitive (‘orchid’) child, discusses the challenges commonly faced when raising sensitive children, and offers insight into how adults can provide the best environment for raising their sensitive kids and helping them flourish. 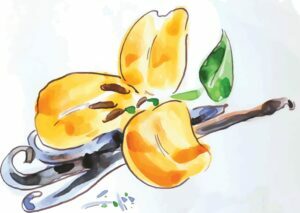 The term ‘orchid child’ is based on language that has been traditionally used in some parenting literature, used here as a descriptive metaphor with care that it not become a label. Approximately one in five children are more affected or stirred up by their environment and stand out in comparison to their peers. They are the kids who get more easily overwhelmed, alarmed, intense, sensitive, prickly in their responses, and passionate in temperament. According to Thomas Boyce at the University of California, these ‘orchid’ children are neurobiologically distinct and possess an enhanced receptivity to their environment based on genotypical differences. [i] They are more highly tuned into their environment, unlike ‘dandelion’ children who are less aware and are more easy going in comparison. Orchid children may complain the tags in their clothes are too itchy, sounds are too loud, smells are too strong, or some foods taste so bad it feels it burns their tongue. They are also more likely to suffer allergies and skin problems. It can be difficult to get their attention because they are bombarded by sensory information and are overwhelmed. They also seem to possess a natural brightness in comparison because of their enhanced receptivity to information and stimulation. Adults might see them as being overly dramatic or reactive but they are only being true to the enormous world that exists inside of them. The neurobiological differences in orchid children make them more sensitive to child rearing practices – they will either wither or thrive. [ii] When they are raised in stressful environments they are greatly impacted, unlike dandelion counterparts who fare much better. They are more likely to suffer from mental health issues, addictions, and delinquency as a result of such conditions. However, when orchid children are raised under ideal conditions with the presence of caring adults, their development can surpass their dandelion counterparts. “An orchid child becomes a flower of unusual delicacy and beauty.”[iii] Despite neurobiological differences and heightened reactivity in sensitive children, it is the relational environment they grow in that makes the difference developmentally. Continued… part two of this article will post on our editorials next week, with Deborah MacNamara discussing the challenges commonly faced when raising sensitive children. [ii] Ellis, B.J., Boyce, W. T. (2005). Biological sensitivity to context: Empirical explorations of an evolutionally-developmental theory. Development and Psychopathology. V. 17,(2), pp. 303-328.